There is nothing as strange as one musician on his own, struggling with his instrument in empty space, trying to shout weep sing jubilate rage with personal feelings by wrestling new tones and sounds out of this piece of concrete matter, playing alone with aesthetics and norms, hopefully trying to get the thinking stilled, letting the sounds produce themselves as if you are the instrument, or as if the instrument is you. And as in other solo recordings, you are on your own, naked and vulnerable with absolutely nowhere to hide. But that also makes it incredibly fascinating to listen to, if well played. The first solo clarinet album I ever heard was Evan Ziporyn's "This Is Not A Clarinet", a mesmerizing album vaccilating between classical avant-garde and more free forms. Of course the following albums are also easy to recommend, starting with the great John Carter. In the classical genre, you also have Caroline Hartig's "Chalumeau", Romualdo Barone's "Tarantella for Solo Clarinet", Eward Brunner's "Music For Solo Clarinet". This brings us to some new albums in the solo clarinet genre. Maybe it seems a little bit unfair to put my young compatriot Joachim Badenhorst in comparison with the likes of John Carter and Ned Rothenberg, but he stands his ground. 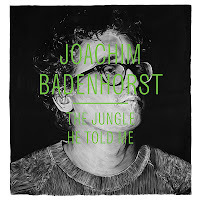 Badenhorst resided in New York in the past few years, where he made some incredibly strong recordings with Thomas Heberer's Clarino on "Cookbook" and "Klippe", on Joe Hertenstein's "Polylemma", with his own band "Taro", with Baloni on "Fremdenzimmer", with "Rawfishbones", with Han Bennink in "Parken", and on Tony Malaby's "Novela". No doubt that he is one of the coming men, as a musician and as an artist. He was voted clarinettist of the year 2011 by "El Intruso"'s fourth annual critics poll, to which your humble servant contributed. About the album then. 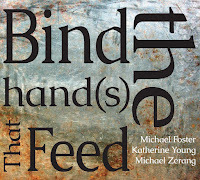 Badenhorst has none of Ziporyn's abstract precision or Carter's dramatic development, or Rothenberg's incredible presence; his starting position is more intimate, with no objective to impress. The first track is a good example, beginning with a soft moaning sound, full of warmth, free form and the typical repetitiveness of long circular breathing bouts, with ever changing colorings and shadings. 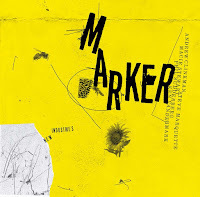 The second track is a quiet meditation on bass clarinet, with floating phrases, offering something that is happening close to you, and almost the opposite of all his solo clarinet colleagues who try to occupy space, Badenhorst takes his corner in the space, and you have to come close to him, as he draws you in, instead of trying to reach every corner of the environment. "Tenor" is built around a rhythmic circular breathing pace, and is a little more expansive, "Djilatendo" gives the eery impression that he is slowing down a recorded tape while playing unusual glissandos. "Ek Stamel Ek Sterwe" (I stutter, I die) is rawer, using the full range from low roars to sustained high notes. Badenhorst's technique is strong and his performance has the perfect balance between knowing his limitations while at the same time not overplaying his obvious technical abilities : the music and his musical ideas keep the main focus, and that's how we like it. 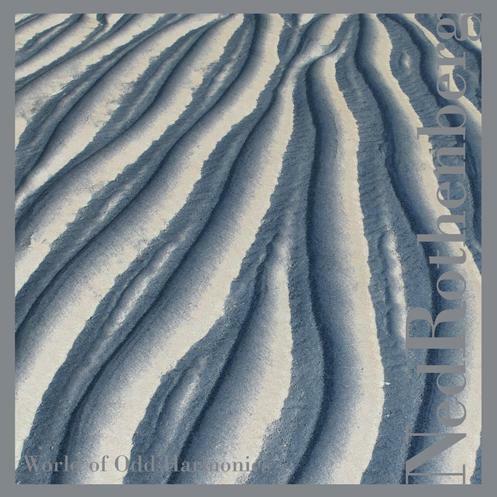 What Rotehnberg does, is pretty exceptional for a solo instrument. His mastery is almost perfect, his tone, his multiphonics, his circular breathing, and indeed his occupation of space, the variations, the hypnotism and the odd harmonics, the way he keeps the listener captivated - at least this one - is unique. The central piece is "Depth Perception" on bass clarinet, which creates at times the most incredible rhythmic dynamics, full of angered rough moments alternated with delicate sensitivity, control and pure blow-out phrases - screaming! - while keeping the pulse going. It is at moments hard to believe that this is just one single musician playing one single instrument, but it is. But it is a real "dialogue intérieur" with both conflicting and harmonising elements, bizarre and astonishing, frightening and soothing, and I'm not sure whether the whole thirteen minutes are played in circular breathing mode, but it is in any case a technical and physical and emotional tour-de-force. "Odd Not Odd" is again an amazing little gem in which you can hear Philip Glass, Johann Sebastian Bach and Evan Parker simultaneously, ending in a bizarre, odd-metered almost synth-like sound. Because of his choice for circular breathing and this multiphonic dialogue, most of the compositions/improvisations keep circling around the same tonal center, resulting in a mesmerizing, yet often abstract listen. Despite the fact that both albums are only solo clarinet performances, the approaches are totally different. Both are easy to recommend, also to non-clarinettists. Strangely enough, both youtube videos give almost the opposite impression as the albums, with Badenhorst being more expansive, and Rothenberg more intimate. It is strange that solo sax recordings are easy(ish) to find, however solo clarinet less so. I guess that the lack of people playing as a serious 1st instrument are not so many. However it is making a come back at the present. Considering that at one time the only 'jazz' based solo piece worth knowing was the several versions of Eric Dolphy playing 'God Bless the Child'. After that it seems a few other players started to re-examine the instrument. John Carter, as you mentioned is one of them and his recordings are quite extraordinary, although .... only one solo recording? 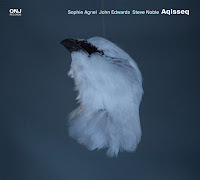 Of course one shouldn't forget John Surman's early recordings which were certainly genre breaking at the time. 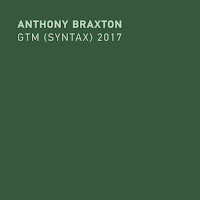 I'm surprised that Anthony Braxton, Ken Vandermark or Roscoe Mitchell didn't release anything, although maybe someone can tell me differently. However, there are plenty of interesting players out there, maybe we're going to see something new. Chris Speed, Alex Ward, Michael Moore, Don Byron, Marty Ehrlich, Ben Goldberg,Theo Jorgensmann, Gabrielle Mirabassi, Gianluigi Trovesi and of course Perry Robinson are just a few names that I have in my collection, although not complete solo performances. But more importantly I'd be interested to read any other suggestions for solo performances! I just thought .... do not forget the amazing solo pieces by Jimmy Guiffre on Free Fall. 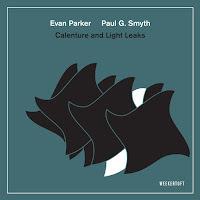 These are probably some of the most amazing, and far reaching pieces of solo clarinet playing you'll ever hear. If you've never heard the Free Fall album you should put it at the top of your 'to buy' list immediately. Yes, I'd forgotten that one. I have some of Denis' CDs in my collection .... must dig them out for a new listen. Thanks Joe, indeed great overview of clarinettists. I already ordered the Ned Rothenberg, it looked, and sounded, very interesting. Unfortunately I can't help buying clarinet records, such an interesting instrument.